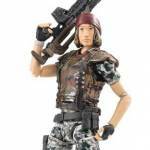 Today we have a look at the three newest figures in the Hiya Toys Aliens: Colonial Marines line up. If you missed it, we recently shared a photo shoot of the Crusher Alien and the Raven Alien, which make perfect companion pieces for this release. The newest figures include Captain Jeremy Cruz, Private Bella Clarison, and Private Jennifer Redding. These 1/18 scale figures stand roughly 3.75″ tall, making them perfect for fans of figures such as G.I. Joe. Each figure is packed with a figure stand and character appropriate weapons. The figures should be hitting retail outlets very soon, and are priced about $20 each. Hiya Toys sent along the figures for us to review. After the jump, see the photo shoot and our thoughts on the figures. In a short update from Hiya Toys, they have announced releases for a few items that have been in limbo for a while. 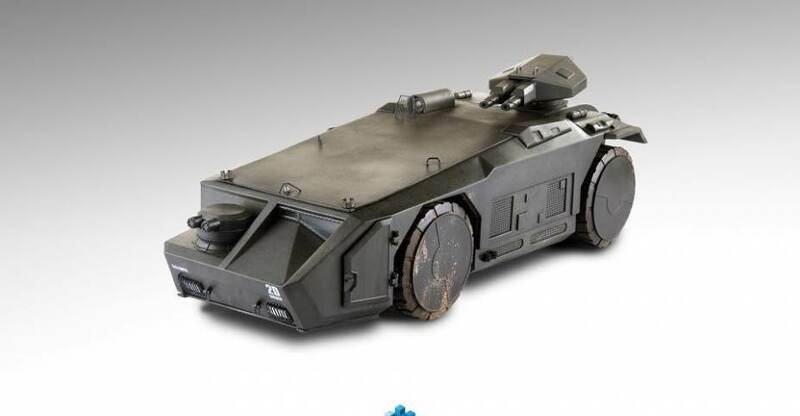 The big news is that the Aliens 3.75″ Scale APC (Armored Personnel Carrier), which was put on hiatus after lower than expected pre-orders, will be released! The massive carrier is set to be released in August. The vehicle will hold at least 10 Colonial Marines figures, and includes LED light up functions. 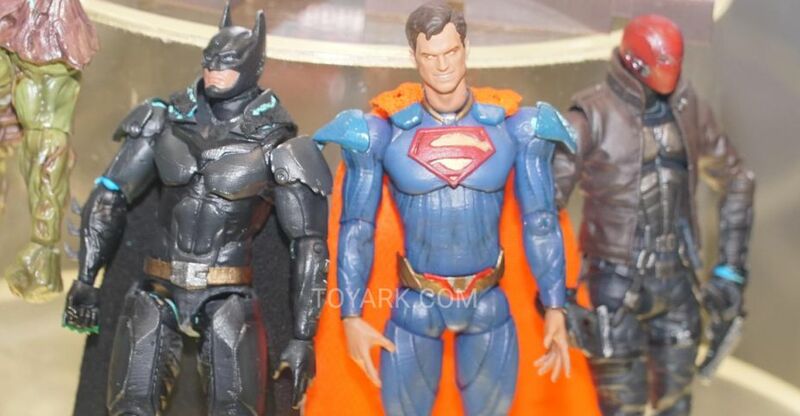 For fans waiting to add to their 3.75″ scale figure ranks, it looks like June will be a big month! Anyone who has a number of Hiya Toys items on pre-order will finally see these long delayed figures hit shelves. 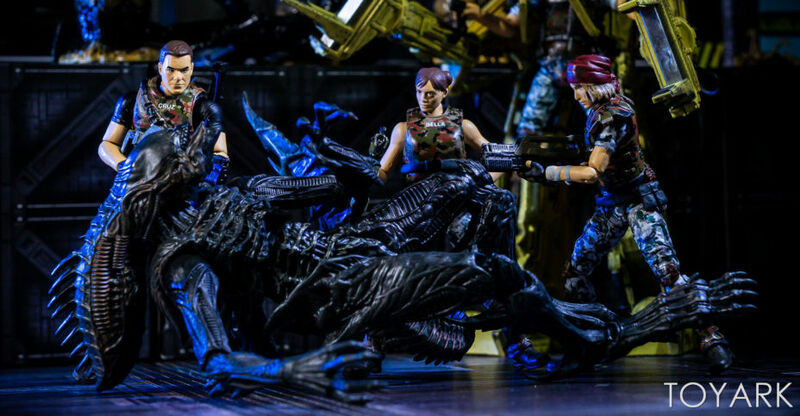 In the update, they announced that five Aliens: Colonial Marines 3.75″ Scale Figures will be released. Those include Colonial Marines Bella Clarison, Jeremy Cruz and Jennifer Redding as well as the Crusher Alien, and the Raven Alien. A Previews Exclusive! Private Bella Clarison, enlisted in hometown of waterloo, Iowa was inducted into 2nd colonial support group and selected by space command for colonial marines front line detail out of O’Niell station,L-4 earth-lunar system. Waiting for second tour orders, she is a strong gunner with firepower, and handles extreme conditions well. This 1/18 scale figure of Bella features full articulation and a variety of accessories as well as a base for easy display. A Previews Exclusive! Private Jennifer Redding was a member of the United States Colonial Marine Corps. She was part of a search and rescue mission sent to Acheron (LV-426) aboard the USS Sephora in 2179 to investigate the disappearance of the USS Sulaco and its crew 17 weeks earlier. She is one of the playable co-operative characters in the video game Aliens: Colonial Marines, and now you can collect her as a 1/18 scale figure! Fully articulated, Redding comes with a variety of accessories and a base for easy display. A Previews Exclusive! Lieutenant Jeremy Cruz from Broken Arrow, Oklahoma earned top honors at officer candidates school. He qualified for advanced hostile environments training at camp hanneken, valles marineris, mars. Under orders of the I.C.C., dispatched to marine space force, sol in 2172. Strong Combat Leadership, high battle success ratio. Tempermental under pressure, but brings squad back alive. This 1/18 scale figure of Lt. Cruz features full articulation and comes with a variety of acessories and a stand for display. 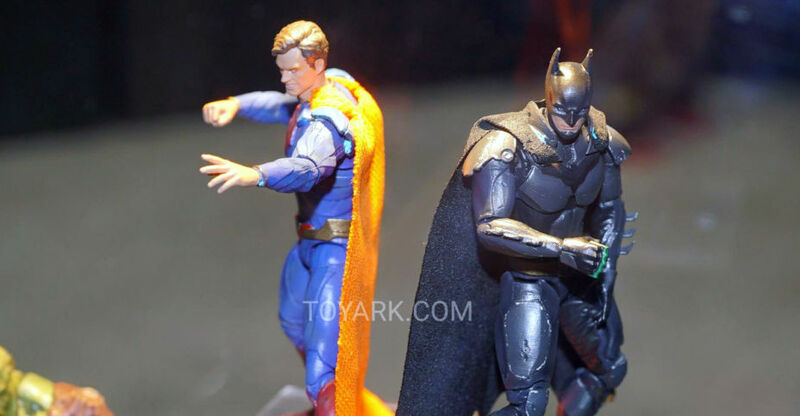 Read on to check out photos of the figures. You can pre-order them by clicking the links above. 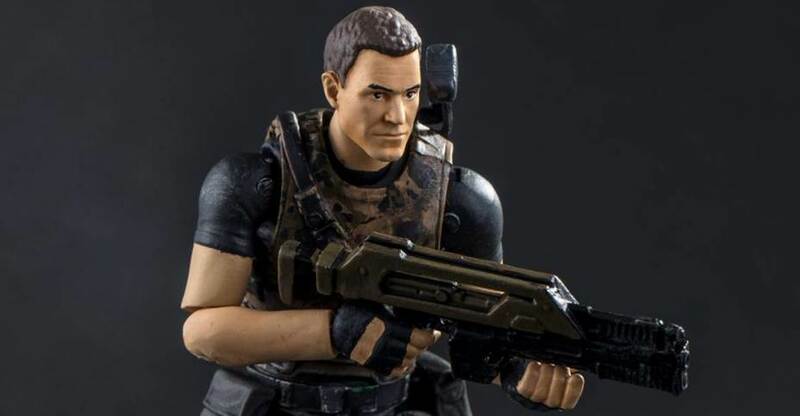 A new Aliens: Colonial Marines figure has been revealed by Hiya Toys. They have posted a few photos of Captain Jeremy Cruz, who was the commanding officer on the USS Sephora in the video game. Captain Cruz led the team to LV-426 in search of the crew of the USS Sulaco. There they encountered numerous new Alien Xenomorphs. The 3.75″ figure include a pulse rifle and a bionic leg. Release date and price have not been revealed at this time. We’ll have more details on the figure as they become available. You can see the new photos by reading on.